Today was our second week singing I’m Trying to Be Like Jesus! To review, I printed out this flipchart of the song (simple and sweet). First I scrambled the first verse on the board and had the kids help me put the words in the right order. Then I added the pictures for the second verse and taught that. Then we were ready to review both verses! 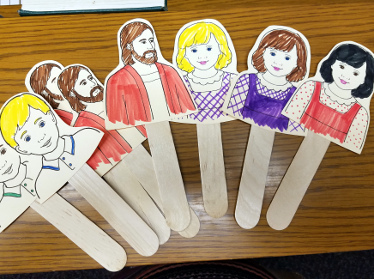 I handed out pictures on a stick – one Jesus, and one boy or girl to each child. We talked about how this song is all about us (each of us) and Jesus. 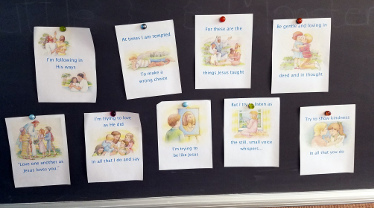 I told the kids to listen hard and find when it was talking about them (I, I’m, my) and when it was talking about Jesus (Jesus, He, Him). We sang and held up the right stick at the right time. Even Junior Primary was concentrating super hard to make sure they held up the right picture! 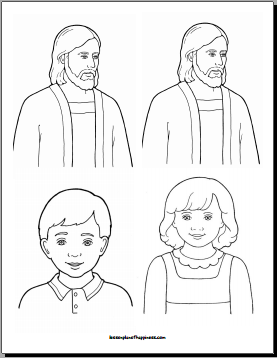 I found the art for these on lds.org, and I’ve stuck them together for printing if you want to do this activity. Click on the picture below to open the PDF! Good luck, and I hope this helps your Primary! This was wonderful and kept everyone engaged-including the littles! Thanks for sharing your idea.